PDFtoolkit offers two methods to export content from PDF pages. Both methods have DPI parameters that allows you to zoom in or out the content if required. In an earlier article, we saw how to use RenderToStream() method to convert PDF to a GDI image. In this article, we will see how to use the RenderToDC() method to convert a PDF page to a simple image. 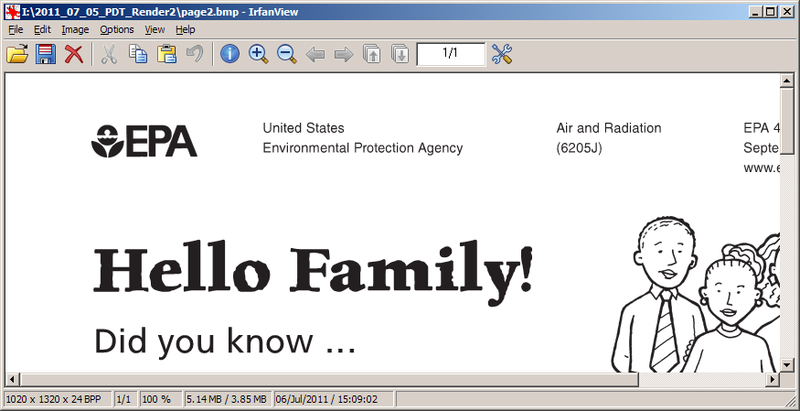 Following is a code example for converting a PDF to a high-resolution image. The RenderToDC() method requires a Windows handle to which page contents can be exported. For that, we supply the canvas handle of a bitmap image. The dimensions of the bitmap is set to that of the page at the required output DPI. Calculation of dimensions is a bit awkward because we need to downcast the values to an integer. Unless we use insane values, the code will not blow up. After calling RenderToDC(), we can save the bitmap to file.